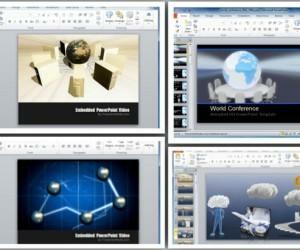 A very interesting method of making an attention grabbing presentation while also keeping your slides simple enough to be easily understood by your audience is to present your basic concepts using SmartArt Graphics or a slide design which might help to present the core ideas of your topic in the form of attractive placeholders. 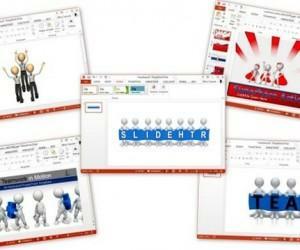 The Animated Street Sign Template for PowerPoint provides animated street sign themed slide designs. 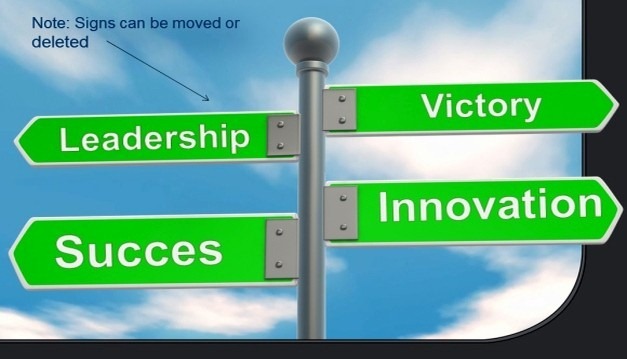 The opening slide provides street signs with editable text boxes amidst clouds in the backdrop. 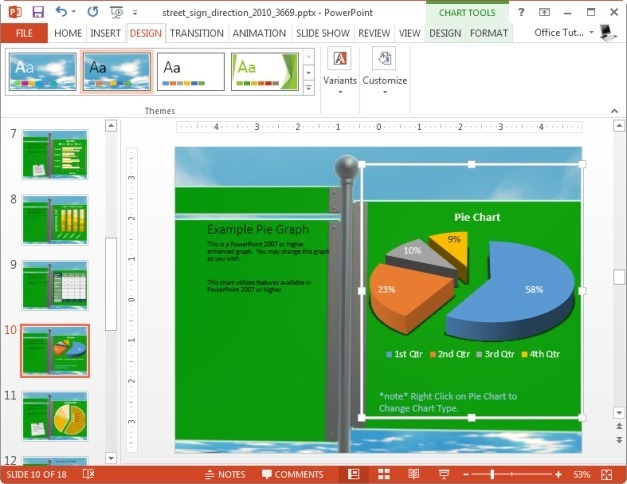 This is an editable animated slide where you can replace the text in the text boxes with your own, after which the street signs will display your custom text with the cloudy sky animation when you run your presentation in PowerPoint Slide Show mode. 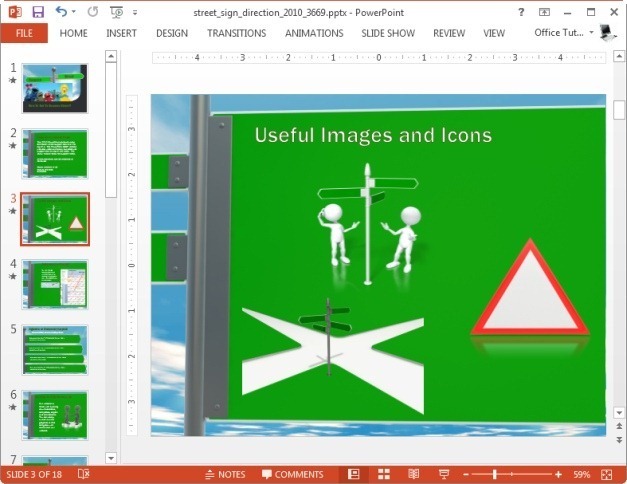 You can customize the objects within the sample slides by not only changing the text in the text boxes but also by changing the color of the street signs, graphs and clipart images. 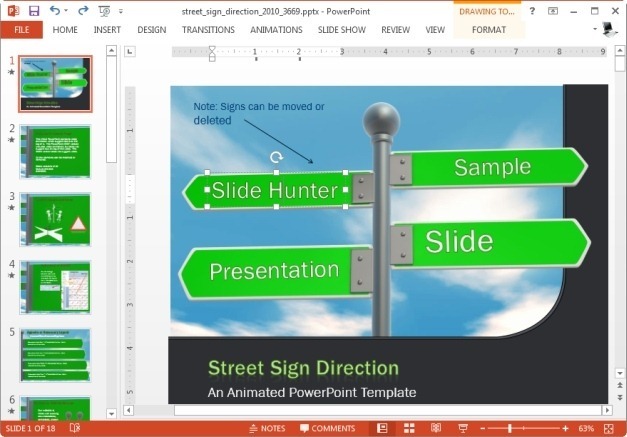 To customize the look of your slides in a more comprehensive manner, you can even move or delete the street signs and other related content to suit your needs. 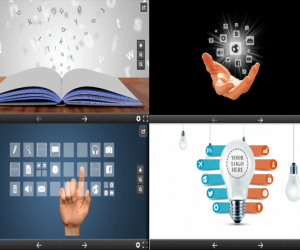 You can even include your own images to change the complete look of the slides, such as by using the given slide designs with your own content to create a presentation related to a specific topic. 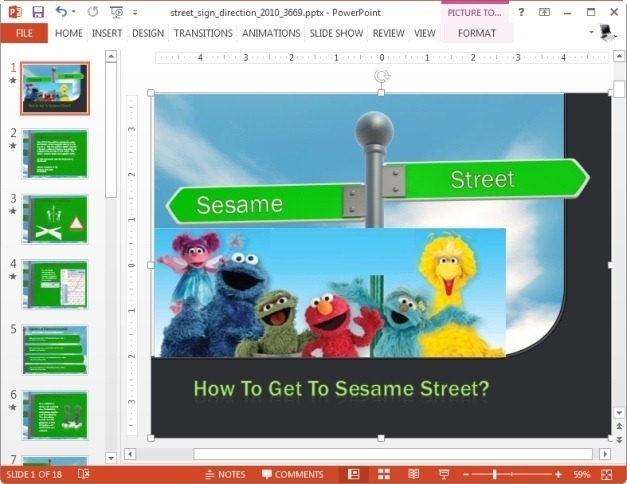 For example, you can use the street signs with some Sesame Street images to turn the template into a Sesame Street PowerPoint Template. 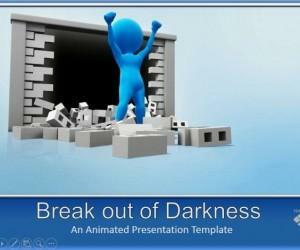 Related: Also check out the Free Street Sign PowerPoint Template. 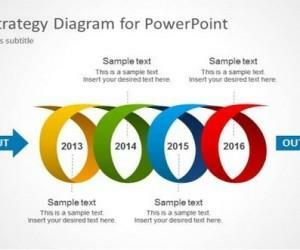 The template also offers individual slides with clipart images that you can freely copy across other slides and use them where required. 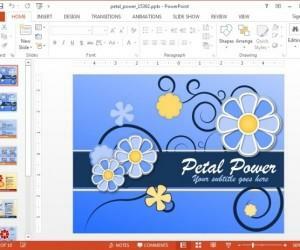 These clipart images include street signs, stick figures, roadblocks and more.